Our range of premium oil filters have many benefits and high-tech filter media to offer ultimate performance. This includes: thicker base plates for consistent thread strength; sturdier element supports for resistance to vibration and temperature; heavy duty centre lubes for resistance to flow and pressure; and various technological improvements that give our oil filters that competitive edge. Only clean oil can ensure consistent engine performance. If the circulating oil is not permanently freed of impurities and combustion residues, the engine can quickly begin to show sign of premature wear and damage. That’s why the importance of oil filters should never be overlooked. Filters Plus works with leading global filtration specialists to meet the needs of modern engines. 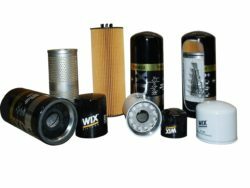 We can offer premium oil filters and customised solutions to suit commercial and industrial applications. The Filters Plus team boast significant industry knowledge and are committed to meeting your filtration needs. Whatever, wherever and however you drive, you can drive with confidence knowing your vehicle is protected with the right oil filter.